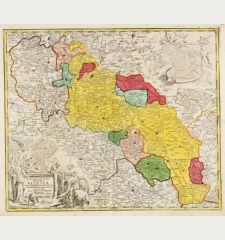 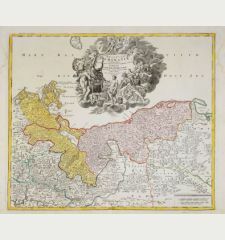 Coloured map of Prussia. 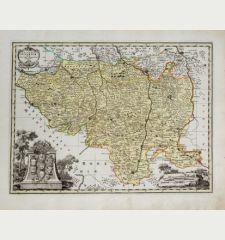 Printed by M. Pitt circa 1680. 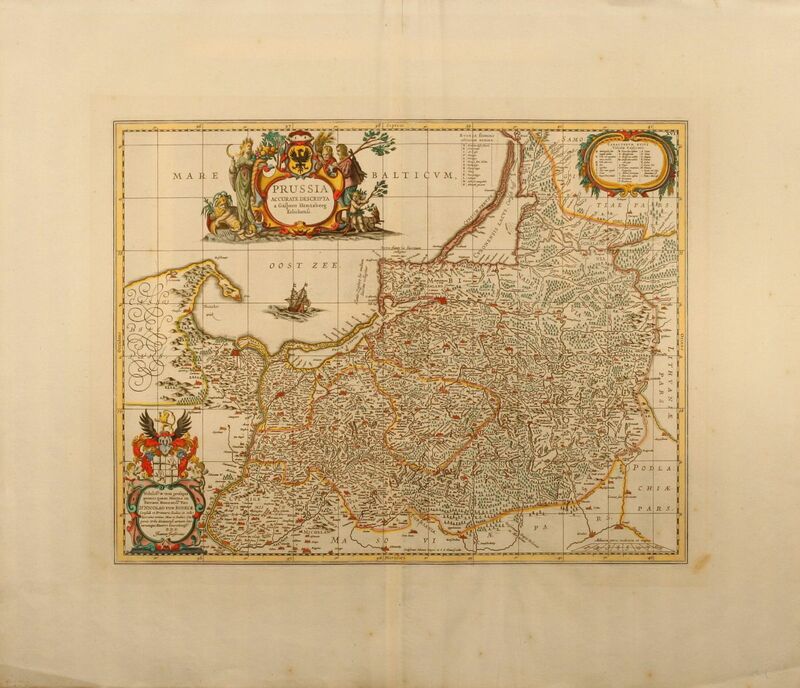 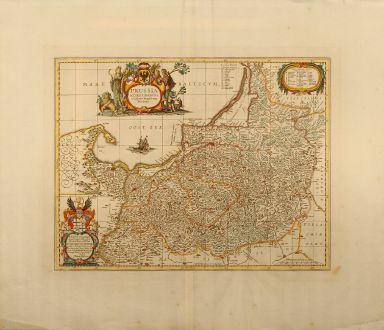 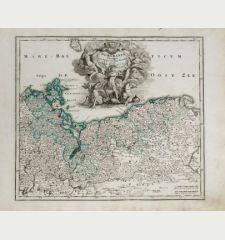 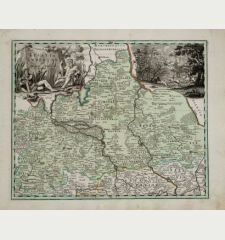 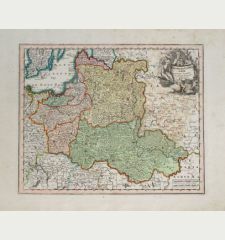 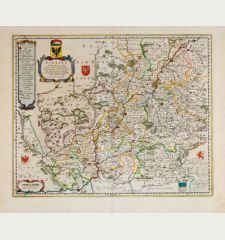 Beautiful hand coloured map of Prussia (Prusy) in Poland. 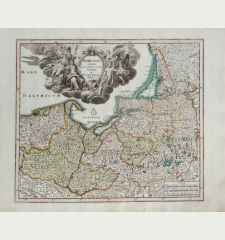 Engraved by S. Roger and E. S. Hamersveldt after C. Henneberger. 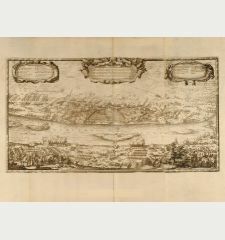 With nice coloured cartouche and sailing ship. 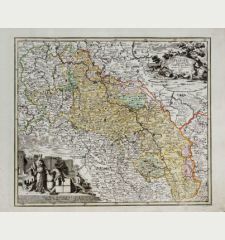 From an Atlas of M. Pitt. 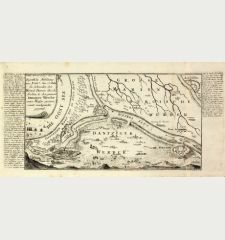 Moses Pitt a London based bookseller was born 1654. 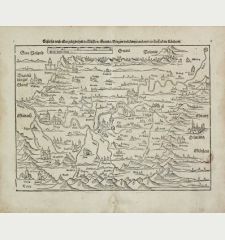 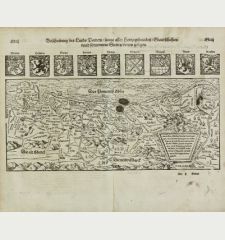 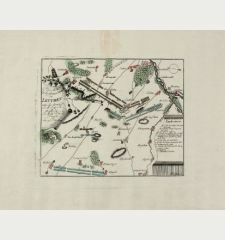 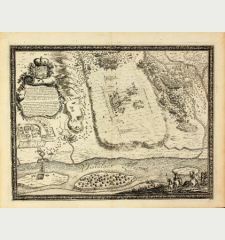 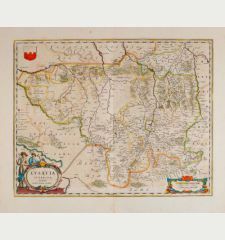 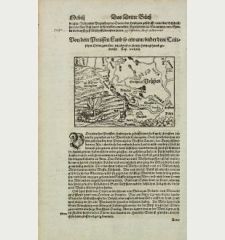 He planned to publish a large 12 volume World Atlas based on Blaeu / Janssonius Atlas together with Johannes van Waesbergen. 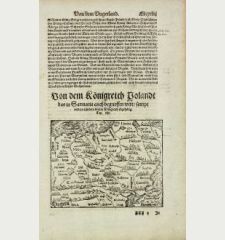 The experiment ruined him and only 4 volumes have been published between 1680 and 1683. 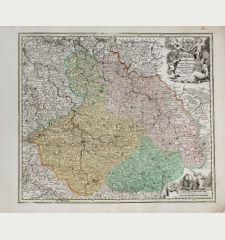 He died in 1696. 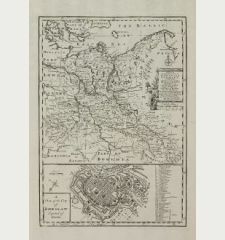 Moses Pitt: Prussia accurate descripta.